Comments: Sod the preamble, sod the pre-match punditry and sod my tenuous rambling contextualisation. 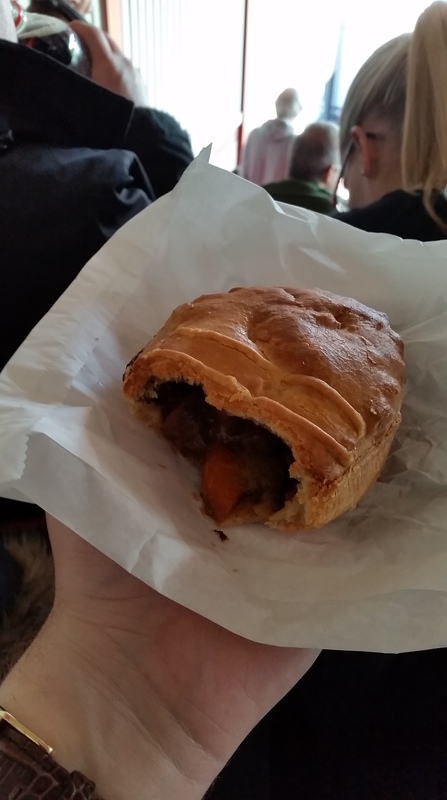 The pie I had at Bristol City will go down in Pie Pundit history as the stuff of legend. The pastry equivalent of legendary fan favourite, and keen lap of honour goer, John Pantsil. It was, as the saying goes, unbelievable Jeff! After making the three hour pilgrimage from Manchester to cider watering hole Brizzle, and City’s stadium Ashton Gate, I was faced with a choice; steak, lamb (well, sheep) or bacon and leek. Bored of balti, sick of steak and bemused by bacon and leek, I took a punt on the ovine. Lady luck was with me day, I’d hit the jackpot. I was Viv Nicholson, Judith Keppel and Monty Brewster all rolled into one. The curious thing was that I had initial reservations. Shaped like an oval, or edible rugby ball, the pie seemed confused as to whether it was a pasty or indeed a pie. Now I’m not one to discriminate, but I’m not the Cornish Connoisseur for a reason. 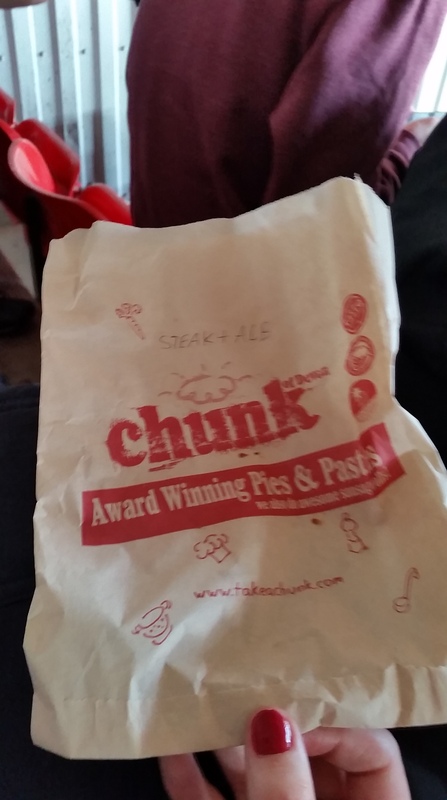 The fact the pie came in a paper bag rather than a foil tray hinted towards the former. Nevertheless, I put my prejudices aside, and sunk my gnashers in. Pow! That was it. All the joys of the world in my mouth. Succulent wedges of tender lamb populated the internal cavity. No half measures here, just a generous helping of meat to enjoy. Like a finely plotted Sunday Roast the meat was supplemented by a rich minty gravy and a host of ripe vegetables, including some very welcome stray pickled onions. The pastry held together resolutely, only parting under a soft gnawing. Like a well greased Italian back line, finely tuned beyond the sum of its handsome parts, the pie’s essential elements aligned for an unbeatable treat. On the pitch Fulham delivered a similarly flawless performance by going into the half time break four goals to the good. When you’ve found a pie this good it’s not even surprising when Ryan Tunnicliffe, a player characterised by running, tackling and more running, lobs the goalkeeper like he’s morphed into Eric Cantona. The footballing Gods were looking down on me that day in Bristol indeed. I’ve been scouring your reviews, hoping one day you would be fully satisfied. Glad the stars aligned for you, Jonny.